Trade rumors are simply the best. As a Pittsburgh Penguin fan and blogger, I've learned to accept them for what they are and usually greet them with a smile. When it comes to the Pens, every year the trading target for them seems to be a top-six winger. This year is no different. Last year, Ray Shero blew the lid off of the roof when he traded for future Hall of Famer Jarome Iginla, among other well known NHL veterans. During the Shero-era, the Pens have traded for Iginla, Brenden Morrow, Marian Hossa, Gary Roberts, Alexei Kovalev, James Neal, and Bill Guerin. Pretty amazing list of players when you sit back and think about it. Despite the fact that we're only a little over halfway through the 2013-2014 season, the trade rumors are already starting to get hilarious, annoying, and serious all at once. One of the main reasons for this is the season-ending injury to winger Pascal Dupuis as he was placed on injured-reserve following ACL surgery. Shero even commented on the timing of the injury to Dupuis saying "If this injury happens after the trade deadline it's much more of a problem." The other day, Gary Lawless of the Winnipeg Free Press, wrote that Shero and the Pens have interest in multiple Jets' forwards. The list of forwards Shero is apparently interested in includes Blake Wheeler, Evander Kane, Andrew Ladd, and even Oli Jokinen and Devin Setoguchi. The most laughable part of the article was the mention of Olli Maatta being part of the trade; I don't think Shero is ignorant enough to move Maatta, who is known to be an untouchable. Excluding Maatta, the Pens have a plethora of riches when it comes to young defensive prospects to use in a trade. That list includes Simon Despres, Robert Bortuzzo, Derrick Pouliot, Brian Dumoulin, Scott Harrington, and Philip Samuelsson. So I went to Ian Altenbaugh, who is writer/editor for the Pens at hockeysfuture.com and asked him what prospects the Pens are most likely to give up and who they can afford to give up. The Penguins are a Stanley Cup contending team so they would almost certainly not trade Martin, Orpik, or Niskanen - Three veterans who will be free agents either this coming off season or the next. 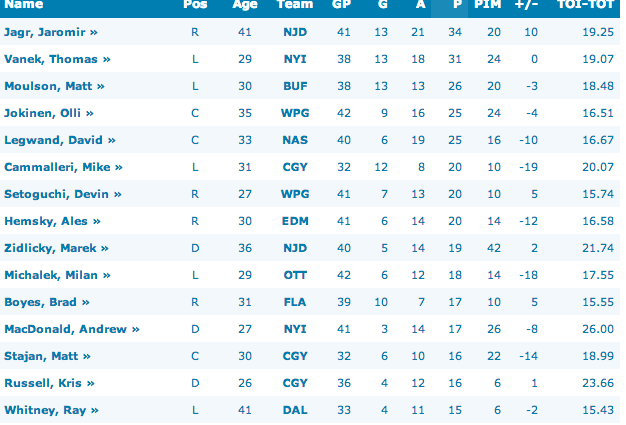 You can include Deryk Engelland in that group too. Despite his occasional foibles, his cap hit relative to his contributions are fairly high. And for as much potential as Robert Bortuzzo has shown, the Penguins simply can't afford to give up toughness at the moment. Go ahead and throw Olli Maatta in the bin of players who the Pens will not trade. In fact, you can make him untouchable. I'm sure if the right offer came along, but it would have start with "You can have whoever you want..."
Despite Kris Letang inking a new deal in the off-season, he's very much a movable part right now. His cap hit is low (3.5 mil) so any team that would take on his salary would have an off-season to figure out their cap. That said, Letang is likely going to stay around. His trade value is at an all-time low right now and the return would be part of a 'change of scenery trade' rather than a 'hockey trade' and Shero likes to try and deal from a position of strength when possible. Plus, given the uncertainty of Martin and Niskanen's future with the team and the inexperience of Derrick Pouliot, there might be some apprehension to move one of their better puck-moving dmen. So the following players are left as potential trade pieces: Despres, Dumoulin, Pouliot, Harrington, Samuelsson, D'Agostino, Ruopp, Bortuzzo, McNeill, and Mikkelsson. Off the bat, you can probably scratch Ruopp and Mikkelson of the list. Ruopp's value can't be overly high right now and Mikkelson is too valuable to the Baby Pens. Likewise, unless they are specifically requested as part of a return, Samuelsson, McNeill, and D'Agostino can all probably feel safe. They are all more likely candidates to step into a traded player's position. So that brings us down to Despres, Dumoulin, Pouliot, Harrington, and Bortuzzo. I am fairly certain the Penguins would like to keep Scott Harrington. In many regards his value may be greater to the Penguins than other teams. He just does all of the little things they like. His game fits their defensive system fairly well too. I think Despres and Pouliot are the most likely to be thrown around in trade talk, but I wouldn't rule out Bortuzzo or Dumoulin either. A lot will ultimately come down to what a trade partner is looking for. A team like Detroit for example I think would actually prefer someone like Despres over Dumoulin because he's a bit more offensively inclined and is a little more dynamic on the powerplay. A team like Colorado however may prefer a guy like Dumoulin, who is a little safer in his own end, and would help cut down on the amount of shots allowed. That's not to say Colorado or Detroit are potential trade partners, they are just the first two teams that came to mind. It also depends on where the trade partner is in terms of team structure. Again, to use Colorado as an example, here is a team that is mostly in their early 20s and is looking to add a piece to help them contend now. A team like Calgary or Florida however would probably be more interested in a guy like Pouliot, who can develop with their youngsters and one day be their powerplay quarterback. And of course don't forget Bortuzzo. It wouldn't be popular, but a team is probably more likely to give up toughness and size at forward if they can add some on the back-end. Every team is trying to get tougher for the stretch run. The short answer: The Penguins will probably field a trade offer for any of the young Dmen not named Olli Maatta. As for who the Pens should and will trade for I think it's too early to tell. In my opinion, the Pens need a bottom-six forward and a top-six winger. They signed veteran Taylor Pyatt off of waivers, so there's a chance he could regain his 2010-2011 form and fit that bottom-six forward role. He's a gritty forward with great size, who has scored 18 and 23 goals in a season before. However, he was also put on waivers because he only has six points in the last two seasons with the New York Rangers. It has been a rumor from multiple sources that Shero would like to avoid trading for a rental again. Trading prospects and draft picks for rentals will eventually catch up with you. Wheeler is definitely on the radar, especially after he was just picked to be on the US Olympic hockey team. Both Shero and Dan Bylsma are on the US hockey olympic committee that put the team together. Wheeler is locked up until 2019 and has good speed and hands. Wheeler has 31 points this season and could be doing even better if centered by Crosby or Evgeni Malkin. Although the same could be said for Kane and Ladd. Ladd costs the least in terms of cap space, but according to the Free Press article would be the most expensive as far as trading assets goes. If I had to guess, Wheeler would be the guy the Pens go after. If none of that comes to fruition, the Pens could end up going the veteran rental way again. The two names, as far as rentals go, that intrigue me the most are Calgary Flames' forward Mike Cammalleri and Buffalo Sabres' winger Mat Moulson. Cammalleri intrigues me not only because I think he would flourish playing with Crosby or Malkin, but he would also not go to a team that could end up playing against the Pens. For those that don't remember, Cammalleri used cheat codes against the Pens when he and the Montreal Canadians eliminated the Pens in the 2009-2010 playoffs. Moulson is a gritty forward who can score goals. Then, there is Jaromir Jagr. If the New Jersey Devils start to fall in the standings there is very little doubt that Jagr will once again be on the block. It will never happen but what a good time that would be if #Jagrwatch actually happened. One can hope. One thing for sure is the Pens will make a trade for a top-six forward. Forward depth was a concern coming into the season. With Dupuis out, a big hole on the team needs to be filled and will be filled at the trade deadline or sooner. With Dupuis and Tomas Vokoun both on the LTIR, the Pens will have around $5 mil to work with. My wish list, in order, goes Ladd, Wheeler, Cammalleri, and then Moulson. I agree with Ian as well, no matter what deal gets made, it will include any prospect but Maatta. The good news is, as a Pens' fan we can actually expect Shero to pull some more magic at the deadline. Shero has muscled some great trades in the past, muscling his way over other general managers. (See Joe Neiwendyk) Last year's trade barrage didn't work well, but overall I think most teams dread Shero calling. If you have faith in one thing about this organization, it should be in Shero doing whatever he can to try and put a Stanley Cup caliber roster together. If the Pens have $5 mil to work with will that be enough? The best resolution to cap issues moving forward is trading Letang. The Pens need a top 6 for sure and they most definitely need size on the 3rd and 4th lines.. Getting rid of Letang would free up another $3 million or so, no? Somehow getting Wheeler would be ideal, and also landing a Steve Ott or Cody McCormick would work for the bottom 6 too. Somehow some way the Pens really need to get more physical in the bottom six. The little guys like Connor,Ebbett,and Gibbons shouldn't be getting regular shifts come playoff time, and if they're the Pens won't be around too long.